Headaches can often be traced back to something in a patient’s history. That’s why a common factor in a patient history taken by upper cervical chiropractors is whether a person has ever endured a head or neck injury. Car accidents, sports injuries, and slip and fall injuries are common causes of an upper cervical misalignment. Any accident that resulted in whiplash or a concussion probably caused a misalignment as well. You may at first wonder why the headaches did not immediately start after the injury if that was the underlying cause. However, it is important to note that many head and neck injuries don’t cause immediate headaches. The misalignment caused at the time of the injury may result in the spine being locked in a stressed position. Additional damage to nerves or soft tissue follows over a period of time. Headaches may begin to occur months or even years later. But the initial injury and misalignment is still the underlying issue. The top two vertebrae in the spine are positioned at the base of the skull right where the brainstem and spinal cord meet up. This part of your spine is vital to proper central nervous system function, posture, and other elements of a healthy body. Even a slight misalignment can cause the righting reflex to kick in. That means bone, muscle, and tissue throughout the spine is shifting to keep the head straight. 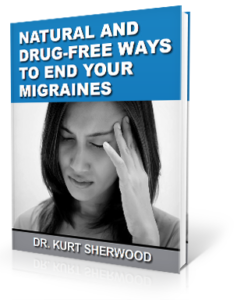 The result can be a chronic headache condition. However, a person is not stuck with the headaches forever if this is the case. By correcting the underlying misalignment, the body can also naturally right itself. Tissue and nerve damage can be corrected. Bones and muscles can leave their stressed position and normalize. While the sooner this takes place, the better, a person can still get benefits years later from a correction. At Sherwood Spinal Care, our entire focus is on specific misalignments of the C1 and C2 vertebrae. We can identify and correct these misalignments using extremely gentle adjustments—a technique called NUCCA. Many patients feel immediate benefits and those benefits only increase as a person’s upper cervical spine is kept in proper alignment.